HENDERSON, Nev. – One of Southern Nevada’s largest shopping centers is set to undergo a $7 million renovation, its first since it opened in 1996. Construction on the Galleria at Sunset is scheduled to begin early April and is slated for completion in the fall. 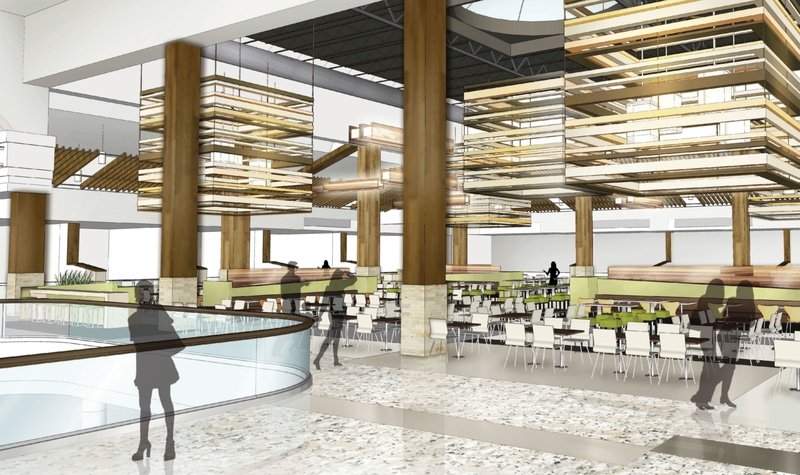 The renovation will be mall-wide and will bring improvements to the food court, center court, guest services center and the restrooms. There will also be additional amenities added, a family restroom, equipped with private nursing rooms and family waiting area to cater to the many families that frequent the mall. “We’re very excited about the renovation, which will enhance the experience and comfort of our shoppers,” said Heather Valera, director of marketing for Galleria at Sunset. “In addition to these many additions, we’re also welcoming global fashion giant H&M, which is regularly requested by shoppers.” The store will be two levels, approximately 20,000 square feet and located in the heart of the shopping center. Distinguishing the Galleria at Sunset as a world-class shopping destination in Southern Nevada, the project design will reveal a simplified desert oasis, with big-open spaces, endless horizons, textured landscapes, and a contemporary desert palette, all of which will create a sense of calm and serenity unique to the local environment and the Galleria at Sunset experience. Additional added benefits will include renovated interior common areas with new soft seating, package carry assistance, free Wi-Fi, stroller rental, and the Sunset Express – a trackless train kids can ride. Boutique Talulah will join H&M in the newly renovated mall. Bath & Body Works and Express stores will relocate to new locations inside the center and will open this fall. The contractor on the project is VCC USA. For more information on the Galleria at Sunset visit www.galleriaatsunset.com or contact the mall’s information center at 702-434-0202.
system because this is where most of the people’s money goes towards. The cause of the odour could be a poor seal around the basket, a plugged plumbing drain, or bad pump. Get quotes from different companies and research good reviews.